Full Backup vs. Incremental Backup vs. Differential Backup: Which Is Best? An accidental loss of data assets can have a devastating impact on your business. Boston Consulting reports that 93% of companies that lose access to their assets for 10 days or more file for bankruptcy within 12 months. Running proper backups at the right intervals can prevent loss of revenue and customers if you experience a hardware failure, inclement weather conditions, vandalism, or other issues. However, "running backups" isn't as simple as it was 10 years ago. Companies rarely have the option of just inserting a backup tape into their server on a nightly basis. As organizational data assets increase exponentially, it's become increasingly clear there just isn't a one-size-fits-all approach to backups that's right for everyone. In this blog, you'll learn about three common approaches to backups – full, incremental, and differential – and how to tell which may be best for your business. A full backup is exactly what it sounds like. It's a total copy of your organization's entire data assets, which backs up all of your files into a single version. Few organizations run full backups on a regular basis. More commonly, companies use full backups on a periodic basis, such as weekly or biweekly. Potential for fast, total recovery of data assets. Simple access to the most recent backup version. All back-ups are contained in a single version. Minimal time needed to restore business operations. Requires the most storage space. Relatively time-consuming to complete the backup process. An incremental backup covers all files that have been changed since the last backup was made, regardless of backup type. 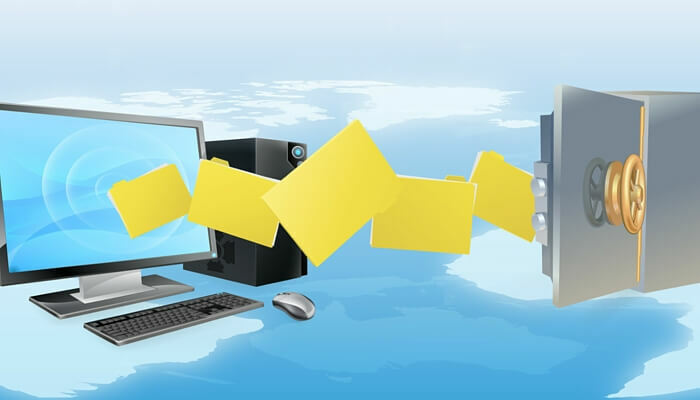 If your business runs a full backup on Friday and an incremental backup on Monday, the incremental backup would copy all files changed between Friday and Monday. If you run a differential backup on Tuesday and an incremental backup on Thursday, the incremental backup would affect all files modified between Tuesday and Thursday. Out of the three methodologies discussed in this blog post, this approach requires the least storage space, time, and bandwidth. While it's not the easiest approach to restore your assets in case of disaster, it can be combined well with other approaches if your organization has a high volume of data or applications. Minimal time to complete backup. Requires the least storage space. Recovery time may be slower. Requires a full backup in addition to incremental backups for complete recovery. Recovery requires the piecing together of data from multiple backup sets. Small potential for incomplete data recovery if one or more backup sets has failed. A differential backup is a cumulative backup of all files changed since the last backup. If your organization runs a full backup on Friday and a differential backup on Monday, the differential backup would cover all files changed between Friday and Monday. In addition, a differential backup that occurs on Wednesday would cover all files changed since Friday's full backup. This option requires more storage and in most cases, longer lengths of time to complete than the incremental backup approach. However, it's a faster route to recovery since only two backup sets are needed to restore your assets. Requires less storage space than full backups. Only two backups (last full and most recent incremental) are required for recovery. Requires an initial full backup for complete recovery. IT will need to piece together two backup sets. Potential for failed recovery if one or more backups is incomplete. How Do I Know Which Type of Backup Is Right for My Needs? Full weekly backup and a differential daily backup. Fully weekly backup and an incremental daily backup. While each approach carries its own benefits and risks, organizations need to consider their need for performance, data protection, their total volume of data assets, and the cost of recovery.The following five factors can be used in making a decision about which backup schedule is right for you. 1. How Active Are Your Read/Write Activities? If your databases and applications are actively being updated with new data at a high rate, known to database specialists as "write activities", full backups could be more efficient. If you are primarily using your data assets for reference without updating them, known as "read activities," you may not need full backups on a very consistent basis. Per IBM, the update tracking needed to complete incremental or differential backups in large or complex applications can have a minimal impact on run time. 2. What Is Your Tolerance for Recovery Time? With a full backup on a daily basis, all of your assets are in a single set. While a full recovery isn't quite immediate, it can occur very quickly and doesn't require the combination of multiple types of backup files. If your tolerance to any downtime is zero, full backups represent the least risk. 3. How Many of Your Data Assets Are Actively Being Update? For most organizations, this represents a tiny percentage. A large volume of your data assets may be emails and files from previous years that you are required to retain for regulatory reasons. Unless all of your data assets, applications, and databases are "living," running full backups on a very consistent basis may take more storage space than necessary. 4. How Much Storage Space Can You Dedicate? Running a full backup on a daily basis requires more than twice the storage space of differential or incremental in many cases. Assuming your business is actively using 25% of your data assets on a daily basis, running a full daily backup each weekday could require five times more storage space than a weekly full backup and a daily incremental or differential backup. At most organizations, the difference is significant. 5. How Much Data Do You Have? For some organizations, running a full backup daily is actually the most cost-effective approach. These are typically organizations with minimal data assets, which can be a product of their industry, products, services, or a lack of multimedia data assets. If cost and storage space factors are not prohibitive, a full backup represents the easiest and fastest recovery. Your company's need for risk management, total volume of data assets, and other factors can all have an impact on the approach to backups that's right for you. While some organizations demand full backups on a daily basis, others are best served with a weekly full backup and daily differential backups. 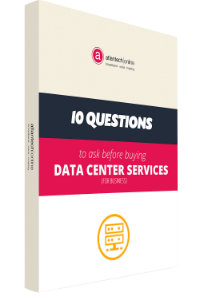 To learn more about the approach to data asset protection that works best for your company's unique needs, contact an Atlantech representative today for more information about our data center services.